Sam and Max is a graphic adventure video game released by LucasArts during the company's adventure games era. The game was originally released for MS-DOS in 1993 and for Mac OS in 1995. The game is based on the comic characters of Sam and Max, the "Freelance Police", an anthropomorphic dog and "hyperkinetic rabbity thing". Clint Bajakian (Indiana Jones series, Star Wars series), Peter McConnell (Star Wars series) and Michael Land (Monkey Island series) composed its music. 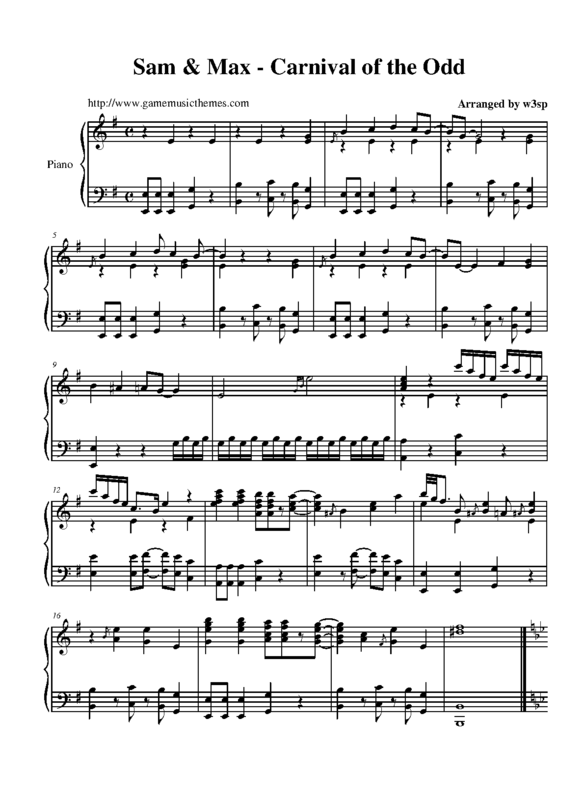 In this page you can download sheet music, music files and more for the musical themes of the Personal Computer (PC) video game "Sam and Max". Click on the name of a theme if you want to visit its individual page, where you may find more information about it. If you are having problems downloading or opening the files, please visit this link: How to Use this Website.